HANDYMAN SPECIAL! Bring your tools and just a little bit of sweat...because most of the heavy lifting has already been done at this house! 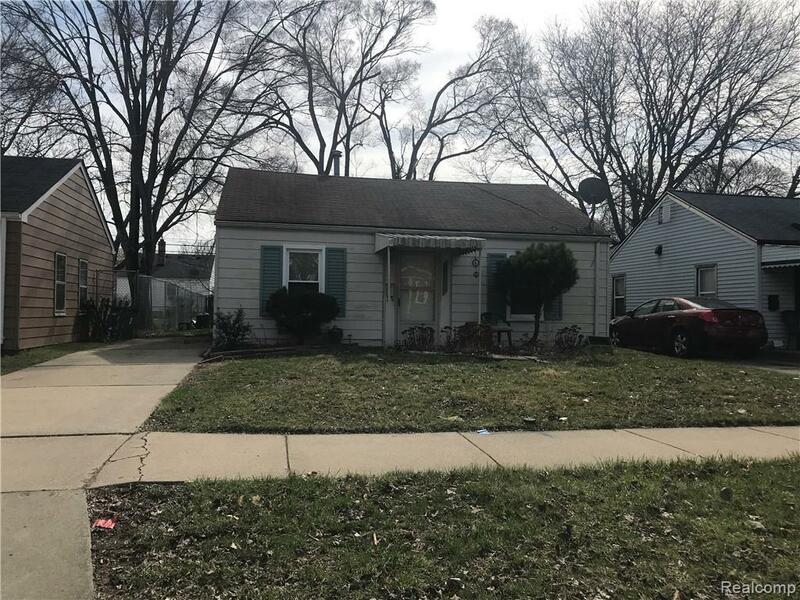 Nice 2 bed 1 bath ranch on a great street in Harper Woods, close to everything. All new sewer and plumbing lines were installed last month throughout the house and connected to the street at a cost of $9,000. You will never have plumbing issues with this home! Major discount on selling price because a few things need to be completed to make this house shine. A new vanity as well as floor needs to be installed in the bathroom. Also, the kitchen floor needs to be finished and kitchen cabinets need to be replaced in order to complete this rehab. After that it will be ready to rent for about $800 a month or would make a really nice family home. Or flip it and make a tidy profit!